Hawaii has the six great islands you can visit, but, if you are a first – time tourist here, this can be a difficult decision. Hawaii can offer you a lot of potentials, and all of the islands are unique in some way. If you travel on a limited budget, then you might have a hard time experiencing all of them. Many people rely on a survey to choose the best vacation place in Hawaii and in some way, this is wrong. Instead of filling in a survey, start reading and researching. Follow your instincts; they won’t lead you in a wrong direction. The research is a very important part of this process. Each island has its website, which you can visit and explore the interesting facts about them. There must be something that will attract you on a first sight. If you find something too appealing, order their free island guide, he can provide you more details. On these websites, you will find the hallmarks of each island, such as scenery, cultural activities, and adventures. You can also check out the Hawaii Visitors Bureau website; there you can find more information and watch some videos, you will soon discover the beautiful things this island has to offer you. Each island of Hawaii features virtual tours so that visitors and tourist can get familiar with the landscape. The footages are taken from a helicopter and they worth thousands of words. Even though these videos weren't created to help tourists pick an island, but we think they are ideal for that. It is always more useful to see things in a video than in pictures. All of the six islands possess this kind of tour and make sure to review them all because they can be very beneficial. Once you decide the purpose of your visit, you can narrow down your choice considerably. 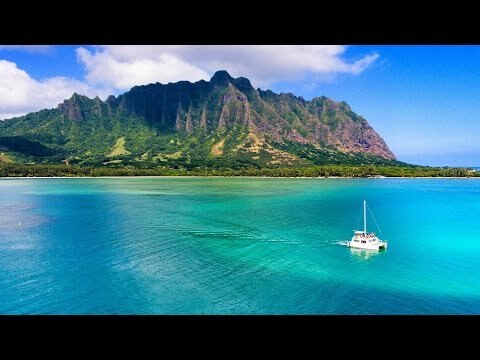 Are you visiting Hawaii just to lay around the beaches, eat and enjoy the beautiful weather, or you want to experience some adventure, learn about their history and meet their culture. If you know these things up front, your decision will be much easier, and once you perform the previous steps, you can eliminate the islands that won’t be suitable for you. Many people save their whole life just to visit the Hawaii because this tourist destination can be rather expensive. On the other hand, if you are one of those people who make a decision right on the spot, maybe it should be wise to reconsider your budget. You won’t want to end up in debt, just because of one vacation. The budget can significantly reduce your choice, but we would recommend this option as your last. If you are already going to visit Hawaii, make sure you use its full potential and explore the natural beauties of this island because you will create beautiful memories.